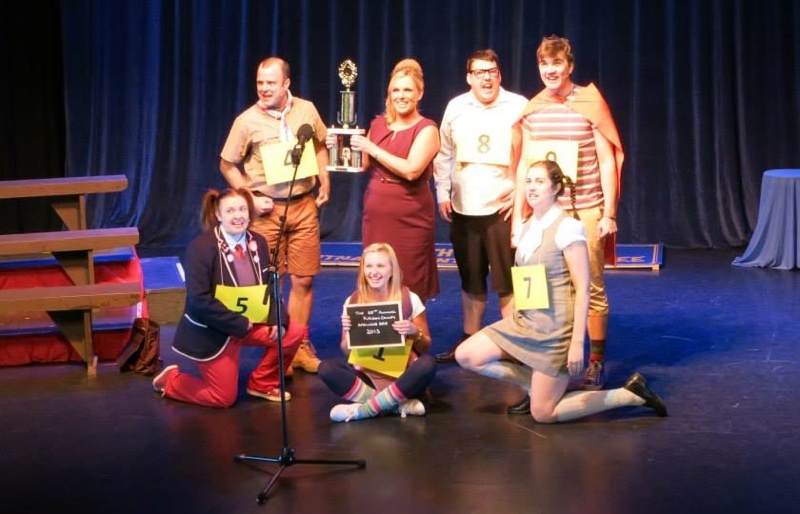 Blackout Productions make a solid debut with a musically crisp and theatrically entertaining production of Tony award-winner the 25th Annual Putnam Spelling Bee, at the St Brides Centre to Saturday. This light-hearted show is a clever choice. The songs might not be of the hum-on-the-way home standard, but they serve the plot well. And it is relatively simple to stage with just the one set: a hall where the Putnam County heat of the American national spelling bee is taking place. 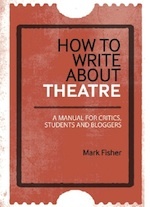 And while there are several levels to which it can be taken – or not – in terms of depth of characterisation and involvement of the audience, there is plenty of room to concentrate on the singing and the comedy. 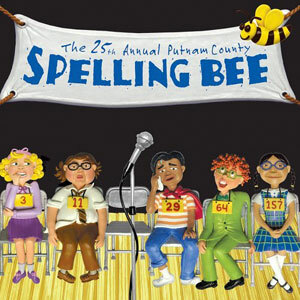 At the heart of the show are the half-dozen young social misfits, desperate to throw themselves into that particularly American institution of the spelling bee. It is their back stories and quirks, teased out over the show, that give it what elements of social relevance it has and provide the laughs. Right from the top it is the singing which sets this up. From Lesley Ward energetic and engaging voice as the moderator Rona Lisa Peretti, to Steven Smyth’s extraordinary versatility as official comfort councillor Mitch Mahoney and a surprising range of supporting roles; and all six of the participants, there is not a bad note in the whole evening. And there is plenty of singing as the plot crashes off into the participants’ imaginations and depictions of their home life. Not to mention the ritual “good-bye song” as the various extra participants in the bee – chosen from volunteers in the audience – are duly given the bell by James Dickson’s drily humorous judge of the bee, Douglas Panch. Director Gabrielle Pavone-Clark has brought out a solid telling of the story of the spelling bee, from Rona setting up the room to the finale where the last two contestants battle it out. Her focus is on the comedy, not least when it comes to Ronan Radin’s William Barfee, the asthmatic contender who has a “magic foot” technique for working out the spelling of each word. Radin has a great voice – and a notably versatile one when he drops into the occasional extra part. He delights in playing up the rough edges of the unfortunate William Barfee. Although, hilarious as he is, there is rather more to the character than Radin finds – toning down a shade would bring more depth. Logainne SchwartzandGrubenierre (Judith Barron) with her two dads. Alex Lyne does an equally impressive job with Leaf Coneybear, the supposedly dim youngest child of a large family. Lyne’s Leaf is the most likeable of the children – mostly because he thinks he can’t spell, but goes into a mystical trance when called on to do so. Vocally and theatrically, it is Emily Goad’s Olive Ostrovsky who engages most. Goad brings a huge vocal energy to the stage but doesn’t overdo the little girl whose parents are too busy to care. As written, Olive clearly loves words, what Goad brings out is that they are a replacement for something missing in her life. She’s run close by Judith Barron, who plays the politically aware Logainne SchwartzandGrubenierre, with ferociously competitive parents. 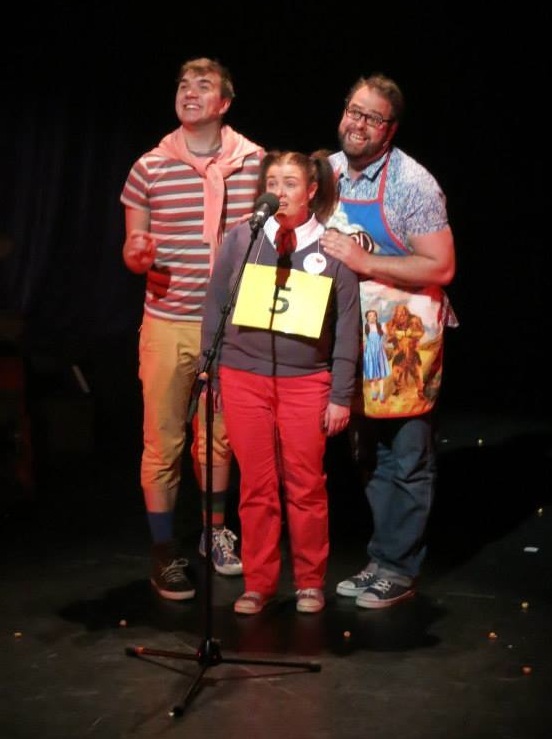 Once again Barron highlights an element of missing childhood – this time by the pushiness of her two dads – nicely brought to the stage by Lyne and Smyth. Rory MacLean and Graeme Melvin split the role of returning champion Chip Tolentino. MacLean’s version of the boy scout experiencing the first stirrings of lust, with an erection that lifts itself at the most unfortunate of times, is hugely entertaining. It’s sad that Emma Sedlak’s character, the precocious Marcy Park, is least written of the roles. What she has to play with, she plays excellently, and her big moment: I Speak Six Languages, is a high point when it eventually arrives. The name of Blackout might be new, but many of the faces in this amateur production are familiar. What is there is excellent, and in terms of achieving what they have set out to do, Gabrielle Pavone-Clark has got it spot on. Yet this is a show which has plenty of space to get right out among the audience. The four volunteers who join six performers on stage are just the start and, if there is any real criticism of this production, it is that it could be a lot more brave. What is there, however, is not just spot on, it is energetic, engaging and well worth a look.